Durable steel construction for a lifetime of use. Standard non-locking version, or HIPAA-compliant locking unit. Photo shows locking model with key. The Datum WallWrite® is a unique solution for areas where floor space is at a premium, where placement of a desk or traditional workstation isn't possible, or anywhere a convenient writing surface is needed in your facility. 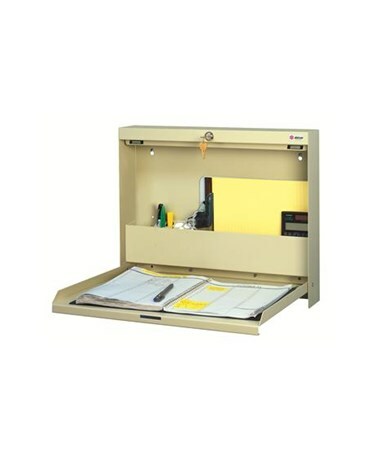 The WallWrite® features a unique heavy-duty steel flip-down door with a 50 lb. weight capacity, that provides a 19"x13" writing surface, while conserving valuable floor space. The door folds up securely with magnetic door closures when not in use. Choose the standard non-locking version, or the version with lock and key for secure HIPAA-compliant storage of confidential healthcare materials. 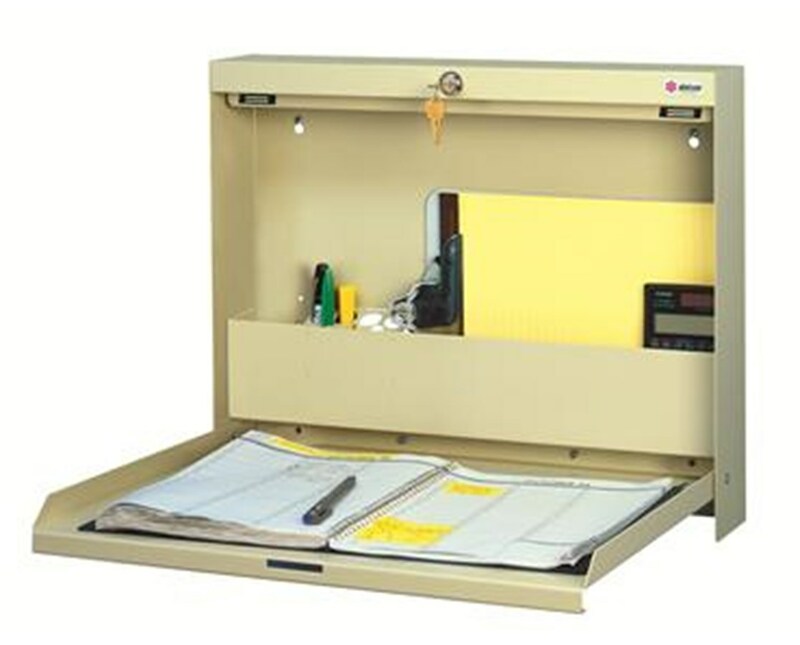 Ideal for healthcare facilities, pharmacy and storage rooms, nursing stations, and examination rooms, the WallWrite™ features an oversized document storage compartment, and even a handy pen holder. Durable construction from heavy-duty steel means a lifetime of use from this workstation. Like all Datum products, it's backed by a Lifetime Warranty. Choose from 19 standard colors to match any office setting and decor! Durable construction from heavy-duty steel for a lifetime of use. Choose standard non-locking version, or HIPAA-compliant unit with lock and key. 50 lb. distributed weight capacity. Tiger Medical offers a 30 day return policy from date of shipment for this product on the following paint finishes Only: T15-Bone White, T47-Light Gray and T86-Gray Mist. Other colors are not returnable. Return is subject to a 20% restocking fee, in addition to the return shipping charges. The product must be in brand new condition and in its original packaging. We take the responsibility to make sure this product arrives in brand new working condition. Should your item arrive damaged, we will replace the product at no cost to you.